'Yu Ming Is Ainm Dom' has been announced as winner of the Temple Bar Diversions Festival Short Film Award. 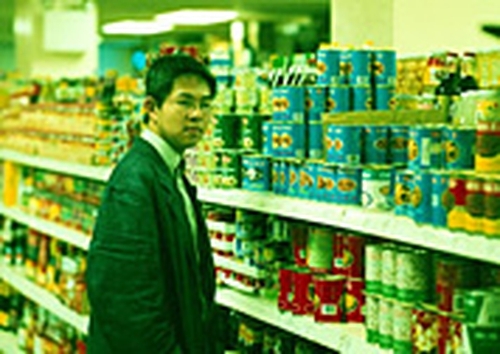 The film, directed by Daniel O'Hara, tells the story of a young Chinese man (Daniel Wu) who prepares for a trip to Ireland by learning Irish and is puzzled when nobody understands him. The winning short film was screened on Meeting House Square just before the screening of 'Jean de Florette' on Saturday 4 September. Speaking on receipt of the award, director Daniel O'Hara said, "First of all, it was great to have the film screened in Meeting House Square. To win is a huge bonus." "The prize money is a massive contribution to the continual expense of getting our film seen around the world, both at film festivals and by prospective employers." The Short Film Award was established in 2001 to recognise the importance of quality short films in Irish cinema. Past recipients of the award include 'The Terms' by Johnny O'Reilly, 'Give Up Yer Aul Sins' by Cathal Gaffney and Anthony Hill's 'Meeting Che Guevara and the Man from Maybury Hill'. 'Yu Ming Is Ainm Dom', which received a cinema release with Jim Sheridan's 'In America', has already won many awards at festivals including the Galway Film Fleadh, the Cork Film Festival and the New York Film Fleadh.